From over 1.200 years the city of Nara (Japan) celebrates each year the Omizutori, a sacred water-drawing festival aka as Japanese Buddhist celebration. The ceremony becomes a mixture between religious beliefs and the welcoming of the Spring season and it will be held from today to mid March 2014. 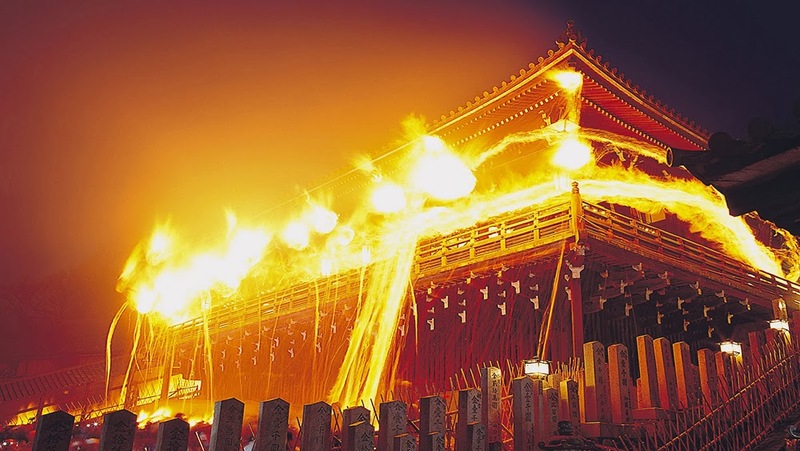 In Welldone Publishers: Art Prints & Greeting Cards worldwide we are amazed by the evening ceremony Otaimatsu, with torches burning around, and by the rite of the monks drawing water and being offered to Buddhist deities with ancient Japanese music playing.